The committees that the ABAA is made up of. Standing committees are formed by the Board of Directors to carry out the association’s mission, design and develop policies and procedures, and make recommendations to the Board. Committee recommendations do not go into effect as organizational policy until such time that the policies are formally adopted by the resolution of the Board itself. 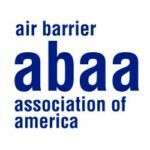 The ABAA management team is available to assist committees in an administrative capacity as well as to provide leg work deemed necessary to achieve committee goals. The following committees have been established as standing committees. Please click on the committee title for a brief description of responsibilities and list of task group(s). To discuss industry issues, best practices and outline education and outreach programs. Development of new training programs for installers, auditor, or other parties. All marketing and outreach to promote QAP, membership, education, conference and other related items. Includes trade shows, social media, advertising, website, communication channels, promotion publications, and liaison. Policy manual update, contractor accreditation, auditing process, forms and documents (daily work records, Audit reports, corrective action), improvements to processes, certification for installers and auditors and new certification programs, training requirements. Oversee, prioritize and undertake research activities; along with the development of proposed test methods. Development of standards, specifications, technical documents, material evaluation criteria, monitoring codes and proposed test methods. Each committee, as established by the board, is mandated to provide guidance to the Directors on specific areas of association operation. Standing committee members must be formally appointed to the Board of Directors, however the association welcomes any member to participate either in person or by conference at any meeting of such a standing committee. If you are an ABAA member and would like to join a standing committee group, please fill out the application form and send it back to the ABAA office as indicated on the form. For anyone wishing to participate as an Observer member, please email your application indicating the group you would like to participate with. Please note all official committee members have a term of 2 years and must be active, indicating this by signing the commitment form attached to the back of the committee application. You must be an ABAA member to join a committee. An individual (employed with an ABAA member) may request to be a Committee Member, which obligates them to participate in the work of the Committee. The Committee Member is obligated to vote on each and every voting item circulated. An individual (employed with an ABAA member) who would simply like to keep up with the work of a Committee, may do so as an Observer Member. An Observer Member will be provided with Committee documents, other than any confidential documents, and are allowed to attend Committee meetings but would have no voting rights.